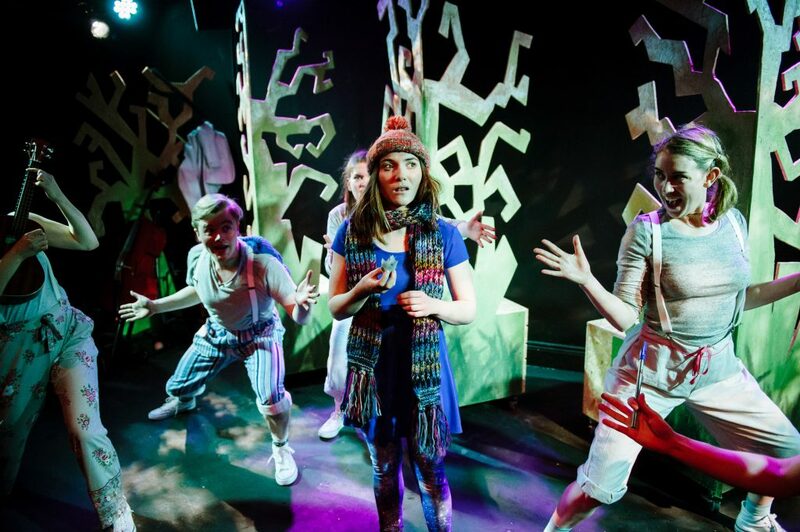 Door Ajar Theatre Company’s Thisbe is a follow-up to Shakespeare’s A Midsummer Night’s Dream, set 14 years after Helena and Demetrius, were lost in the woods. The show features integrated sign language in every performance and played at Theatre Royal, Stratford East 21 – 25 February 2017. Thisbe takes off from Shakespeare’s A Midsummer Night’s Dream and the audience are right away whisked off to a magical land where Helena and Demetrius are so obsessed with each other that their daughter Thisbe, played by the delightful Rosalind Burt, feels completely neglected and confused. 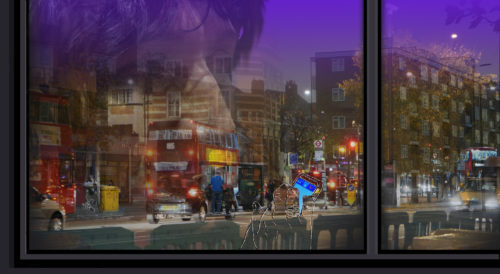 The BSL interpretation on stage is live and designed to mix into the story. The BSL interpreters, Jennifer Wilson, and Samantha Sutherland were two of the six performers on stage. The latter also had an incredibly stunning voice, reminiscent of 50s musicals. Both performers took turns expressing the story vocally and through signing, which was delivered so naturally that the BSL interpretations allowed the whole audience to experience the story through movement, sign and sound. The instruments were used live for sound effects and in a comedic manner to drive suspense and the story forward. The trombone was used in a particularly hysterical way to create the bubbling effect of Aunt Hesper’s cauldron. The repetition of images such as this set up the pace of Thisbe’s adventure to find her father. Here, the set design of cut out wooden trees was dazzling as it moved fluidly and smoothly around Thisbe, creating confusion and mystery as she came upon new characters and was set new challenges. The whole cast are spectacular, but Joey Hickman’s high energy as he switches from mischievous Puck to Lysander and Koros deserves a special mention. The rhythmic way in which he delivers each note when playing an instrument, or fluidly moves when portraying a character’s mannerisms, is both precise and impeccably timed. His sharp wit helps pull out the conflict between Burt’s Thisbe and his Puck. The cast switch roles effortlessly to personify Thisbe’s inner thoughts, which are embodied as different characters by each cast member. This physicalizes Thisbe’s turmoil and anxiety to show her frustrations and worries at being unseen and feeling unneeded by her parents. The story’s lessons unfold into a realistic narrative away from magic and spells, and into the battles of real life. This is the biggest joy within Thisbe; it is entirely relatable, dealing with issues of rejection, feminism and independence. 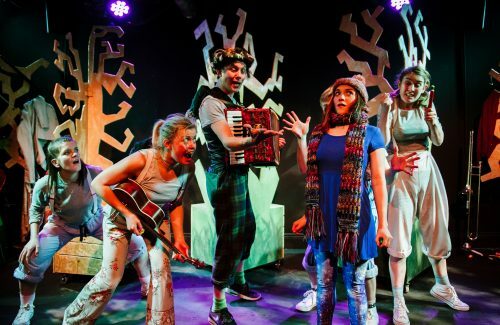 Thisbe is a deliciously juicy performance, delivered in a multi-layered way using live instrumentation, voice, chant, BSL interpretation and chorus that pulls out the modernity of Shakespeare’s comedy into a fully accessible show. Click here for details of a Thisbe Workshop exploring the creative uses of BSL interpretation. Thisbe is on tour at theatres across England, click here for full details of performances.